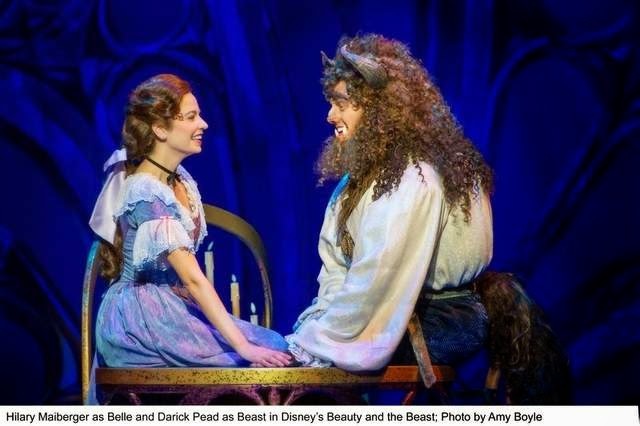 Perhaps because it’s a “tale as old as time,” 20 years after its Broadway debut and almost 23 years since the arrival of the animated movie classic, “Beauty and the Beast” is a story that still is dazzling audiences. The musical is itself an international sensation, based on the wildly successful 1991 Disney film of the same name, also the first animated feature to earn an Oscar nomination for Best Picture. Since opening on Broadway in 1994, Disney’s “Beauty and the Beast” has played to more than 35 million people in 22 countries and has been translated into nine languages. The NETworks tour that returns to Appleton Friday for a three-day, five-show run at the Fox Cities Performing Arts Center has been presented to more than 2 million people in all 50 states. The show visited the PAC in 2011. The same year that Belle, Beast, Gaston and company debuted on Broadway, costume designer Ann Hould-Ward celebrated a Tony Award win for her work with the show. Two decades later, she’s delighted her work continues to help move audiences. The story, based on a centuries-old fairy tale, follows the relationship of Belle, a young woman in a provincial town, and the Beast, really a self-centered and hot-tempered young prince under an enchantress’ spell. Despite the years, “Beauty and the Beast” has remained strong popular culture thanks to the musical and a 2012 3-D run in theaters for the film’s 20th anniversary. At 22 years old, LaGuardia is as good an indicator as any of the long-lasting potency of “Beauty and the Beast.” He was born the year of the film’s release, grew up with the story thanks to VHS tapes and now makes his living bringing the story to a new generation. “It kind of comes full circle when I watch the kids watch the show at night and you can hear them giggling or you can hear them start to get really excited when the big production numbers happen — ‘Be Our Guest’ or when Belle comes down in her gold dress, you see all these little girls in their little tiny Belle dresses and they get so excited — it’s like, that was me. I get to inspire kids like I was inspired by ‘Beauty and the Beast,’” he said. Among the accolades the musical stacked up are nine Tony Award nominations, including Best Musical and Best Original Score (a category the film won an Oscar for in 1992). Hould-Ward wound up the show’s lone winner for her costume design. Having to meld together the looks Disney animators created for the film and the fashions of the 1700s — with spices of her own creativity, of course — wasn’t an easy task, nor was it a small one for Hould-Ward. Months of research, drawing, prototypes and test-runs went into the show. And now, years removed from having to translate a dancing teapot and candelabra from a cartoon to reality, that work is still very much a part of her life. For “Beauty and the Beast,” it’s a child that’s dressed to the nines, full of memorable songs and wraps a grand stage spectacle around, as they say, a tale as old as time.